I have a quick and exciting update for our readers (and on that note, always a sincere “Thank you! !” to all of our readers) since my last post from past summer. 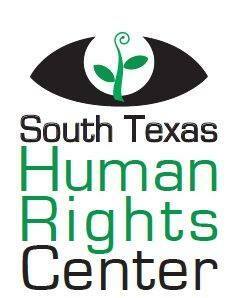 At the end of this summer, I will be moving back to Texas to start an internship at the South Texas Human Rights Center. This is a transition that I’ve been hoping for, and I absolutely can’t wait to begin working with the center. As graduate students, we fine-tune our skills within a confined specialty. We learn everything there is to know about how bones work in our bodies, what they look like when altered (broken, burned, buried for a long time, etc.) and how we can apply this knowledge to assist law enforcement. We are trained as scientists, and so we learn how to form and test hypotheses and how to prevent any source of bias from affecting our interpretation of the results. We learn how to put emotion aside so that it doesn’t distort our vision. Most importantly, we learn that a holistic approach is imperative to understanding what we see, and so that is what I am excited to expand upon by taking this internship. I likely won’t see too many bones. Instead, I’ll be looking at personal artifacts, organizing missing persons data, filling water stations, listening to distress calls, and ultimately trying to put any pieces together that might help locate the remains of a missing loved one. I’ll be working alongside professions that I’ve never worked with before. I’m excited to see these different perspectives and hopefully I will be able to use my knowledge to contribute in new ways that are revealed by these new perspectives. An additional note that I should include is that I will be replacing Hailey Duecker, who recently received her Master’s degree from Texas State University and is moving to the University of Florida to begin her Ph.D. work. She has been at the Center since December 2014. Hailey and I were undergrads together at Texas State University and were some of the first undergraduate volunteers at the Forensic Anthropology Research Facility. I am elated and honored to be picking up her work; her work ethic is second to none and I am eager to try and match it. It’s funny how life works sometimes: even after we chose to study at different institutions for graduate school, somehow we ended up right back together to assist with this crisis. We are about to head back to Texas for another season of human rights work. With my upcoming internship in mind, I am going to constantly think about how I might be able to help when I start my internship. My eyes will be more open than ever, looking for those opportunities that I might have not seen before. More updates will follow with what we find!